My Saudia Airlines trip from Jeddah took me to Jakarta. 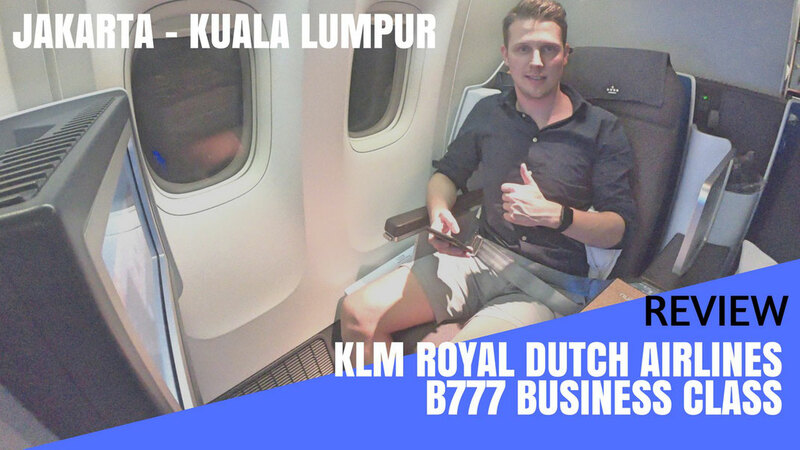 Whenever KLM returns to Amsterdam, the airline does a short stop-over in Kuala Lumpur. 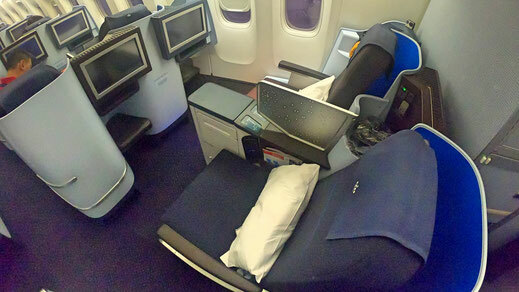 The flight between those 2 sectors only takes 90 minutes for just $150 in Business Class. 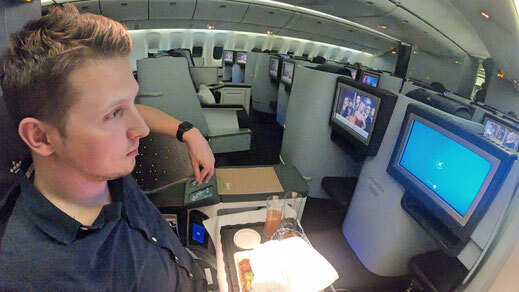 Since I haven't flown KLM yet it was a great opportunity to review their Premium Product on the Boeing 777. 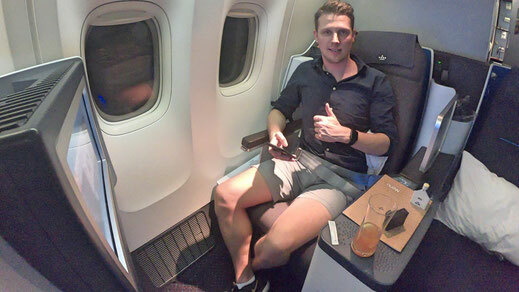 If you don't want to read the review (I know, too many words) you can just lean back and enjoy my video report which gives you a detailed inside of what it's like to travel on KLM's Business Class. 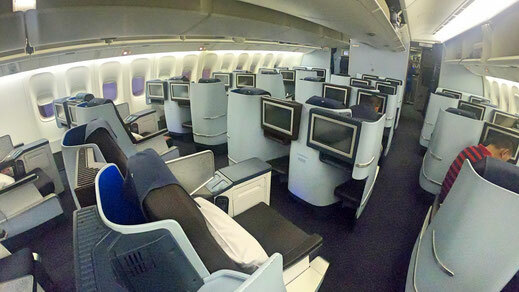 KLM's 777-200ER offers 34 seats in Business Class in a 2-2-2 configuration. A very similar product to Lufthansa or Qatar Airways A320. 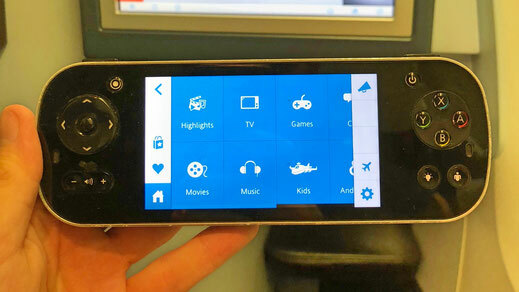 The seat goes complete flat, offers limited storage space and has a personal entertainment screen. 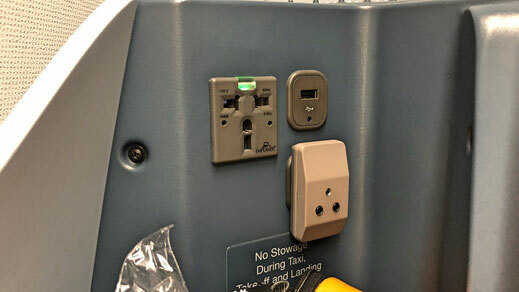 Both an USB slot and Power sockets are available at each seat. However the window seats don't have direct aisle access. The crew on this flight was a little older but extremely friendly and hard working. No attitude, super passionate and they took huge pride in what they were doing. 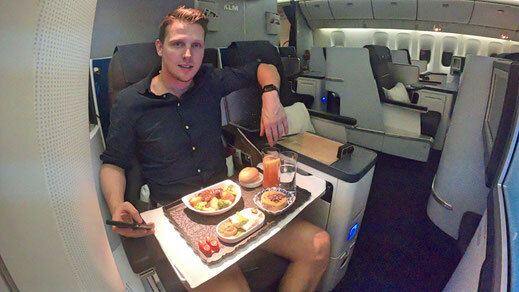 It was really refreshing because usually European and American Airlines totally fail at looking after their customers most of the time. The seat was easy to operate and in very good shape. A very comfortable product and I'm sure the sleeping quality on those must be good. 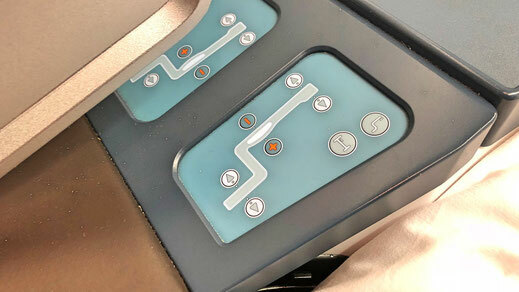 I was lucky that the cabin was half empty during the flight. I was offered a few welcome drinks and the crew was busy engaging with the passengers and trying to get to know them during most of the time. Also menu's were distributed before take off. The captain would keep us posted during the entire flight, on delays and weather conditions. 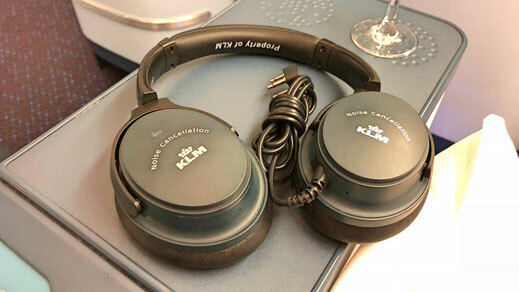 The entertainment didn't leave anything to be desired as well as the noise-cancelling headphones which offered a great sound quality. 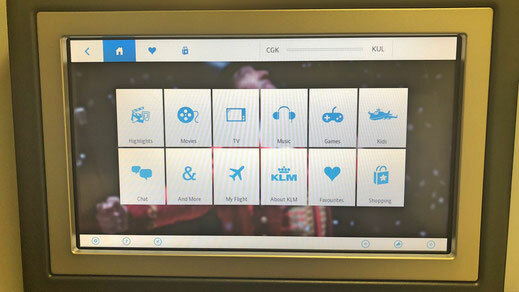 Unfortunately KLM doesn't offer WiFi on this flight. 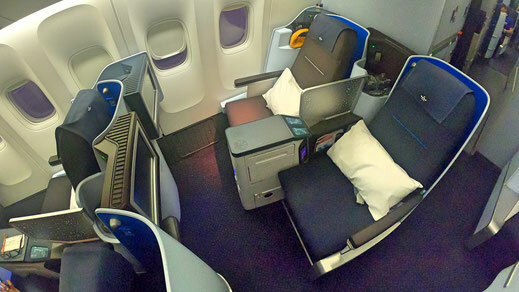 The only airplane in KLM's fleet who does is the new 787 Dreamliner. 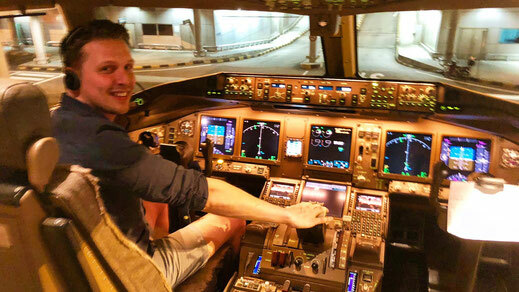 After we landed in Malaysia the crew invited me to the flight deck, which was a really nice gesture. 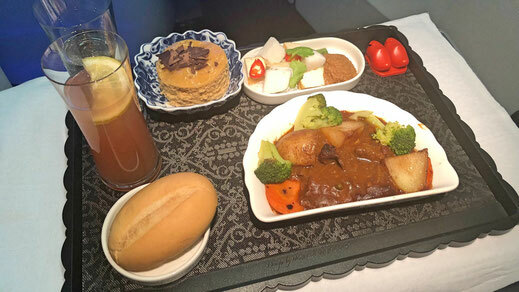 A small meal was also served during the 90 minute flight. You took choose between the Beef Steak or the classic Chicken option. I tried the beef and it was alright. 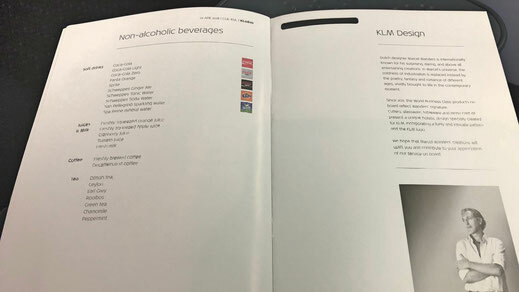 However, all kind of beverages were already available, including the Flying Dutchmen KLM signature cocktail. 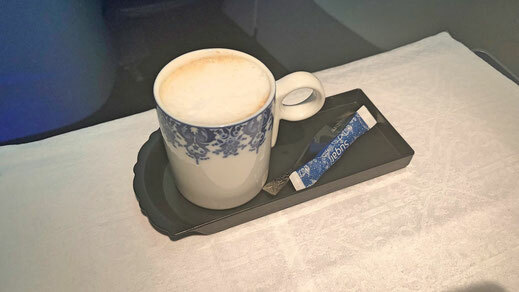 The crew only has a basic coffee machine onboard which limiteds the choice but the crew said she was gonna try very hard to make my coffee look like a cappuccino. Wow, such an effort! 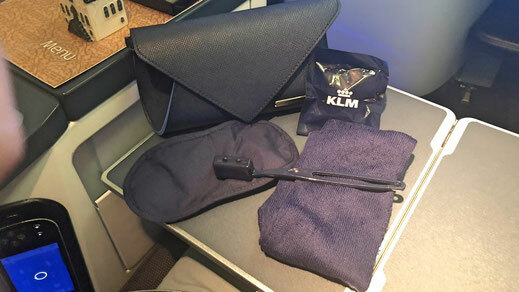 The amenity kit however was very basic but it has the essentials for an overnight journey. 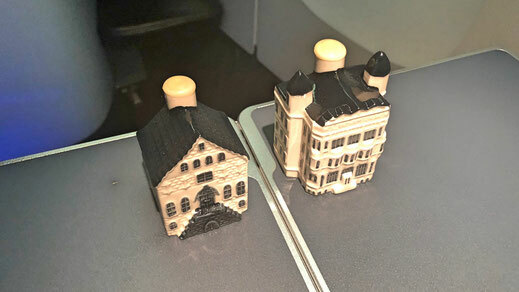 KLM also has a tradition of giving out those cute, little China houses filled with Gin. I even got 2 as well haha...they really spoilt me. The flight was fairly short but an absolute highlight. The Cabin Crew made the difference on this flight. 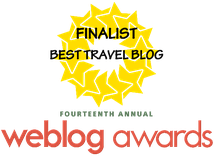 Passionate and outstanding service. The seat is nice and very well maintained, especially if nobody is sitting next to you. Also the entertainment was more than enough and the headphones of decent quality. I had also no complaints about the food. 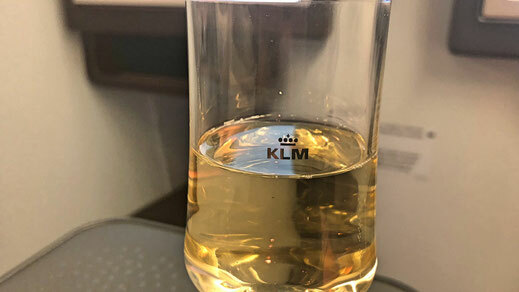 I'd totally fly KLM again and I'm sure that I wouldn't be disappointed if I do so.